Suyati offers digital transformation solutions to clients that empower them to acquire, manage and retain their customers. Our digital roadmap aims at the holistic transformation of your customers' experiences, relationships and transactions. At Suyati, we endeavor to deliver holistic makeover for our client’s businesses. As part of our digital transformation offerings, we provide a seamless digital experience to our customers across the entire customer lifecycle. 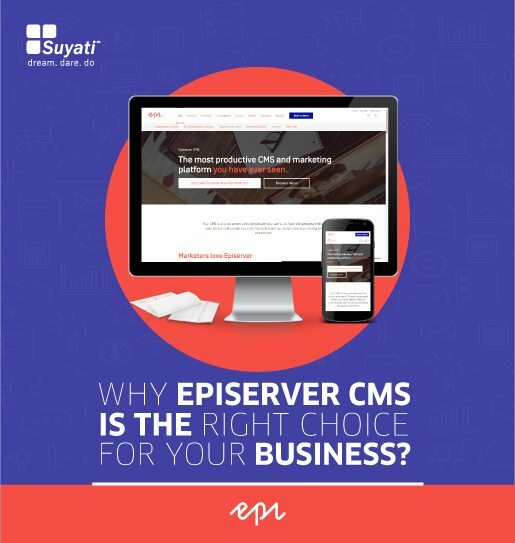 If you wish to expand your business online, or increase ROI from the present one, building an e-commerce website on a fine platform like Episerver is the right solution. 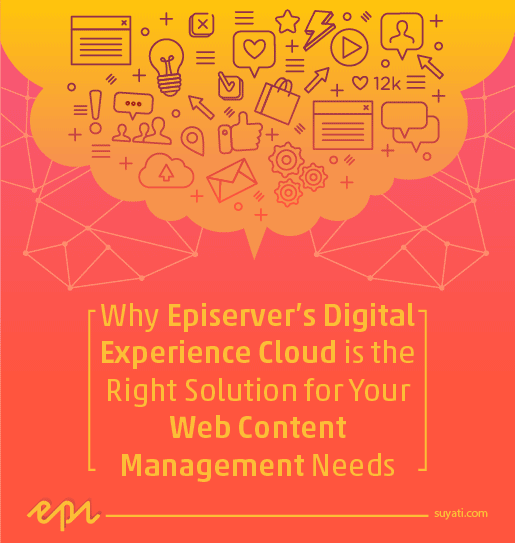 Why Episerver’s Digital Experience Cloud is the Right Solution for..